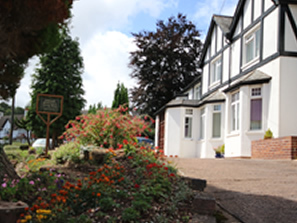 The journey of Sidmouth Nursing Home. When the Home was acquired, it was in need of extensive improvement. The building alone required complete refurbishment. Fourteen brand new single en-suite rooms were added, together with a beautiful new conservatory and refurbishment to existing areas. Most importantly however, immediate changes were made to the overall management of the home. Mrs Bevan and Mrs Casely believe that every person who comes in to their care should be provided with the best they can provide. This means ensuring that people are looked after with love, compassion, kindness, gentleness, patience and empathy. We want our residents to feel safe and secure, surrounded by professional people who actually believe in treating people with absolute dignity and respect. As individuals, we are all different, therefore it is important to recognise those differences and to provide our residents with the means to live life according to their wishes. This can only be attained by strong leadership, together with a team who are able to commit themselves to delivering the best in nursing care. All of our staff receive ongoing training on a regular basis. 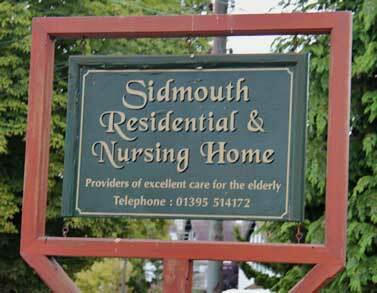 The Sidmouth Nursing Home believes in encouraging and developing the individual wherever possible. A trained and informed workforce promotes good working practices. We currently have three senior staff qualified to Level 5, holding a Diploma in Leadership and Management and the majority of all care staff are qualified to at least NVQ level 3 or equivalent. The Sidmouth Nursing Home is an equal opportunities employer. Mrs E M Bevan is the sole director of Sidmouth Nursing Home Ltd. Originally qualifying as a State Registered Psychiatric Nurse in 1980 whilst working at Broadmoor Hospital, she was promoted to the grade of Sister and qualified as a Nurse Trainer. She also completed a one-year course in Accident and Emergency. Passionate about improving services for the elderly, Mrs Bevan acquired her first care home in Farnham, Surrey in 1986. 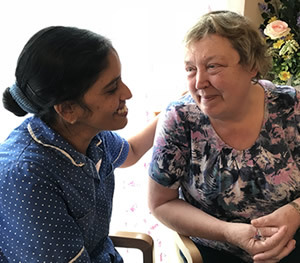 She ran the home until 2009, during which time she increased its capacity to 40 beds whist firmly establishing it as a centre of excellence in dementia care. In the last few years, she has obtained a degree in Business Administration, followed by a Masters Degree in the same subject. She also qualified as a Barrister at Law in 2004 at Greys Inn.